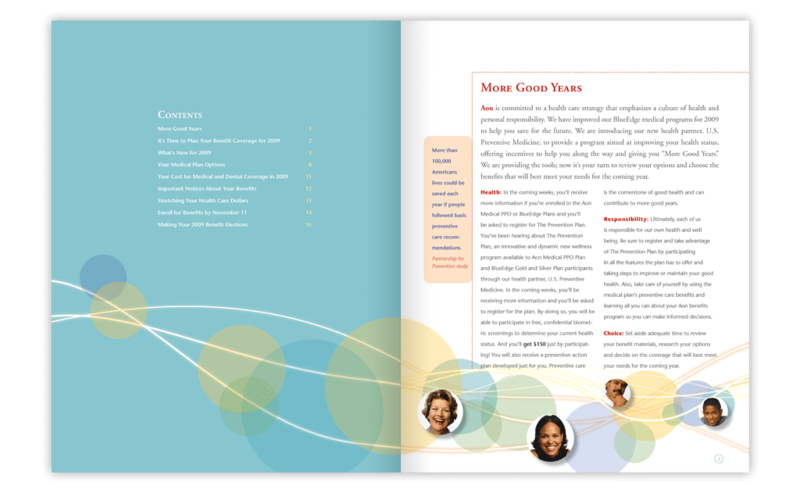 The Chicago headquarters of Aon - a provider of risk management services, asked us to design their employee benefits package. 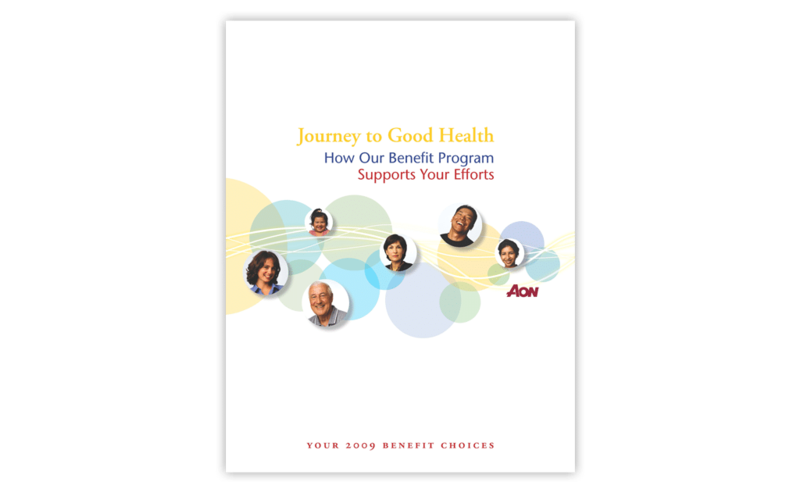 Every year, corporations struggle to present their employees with readable material that will help them select health plan choices. 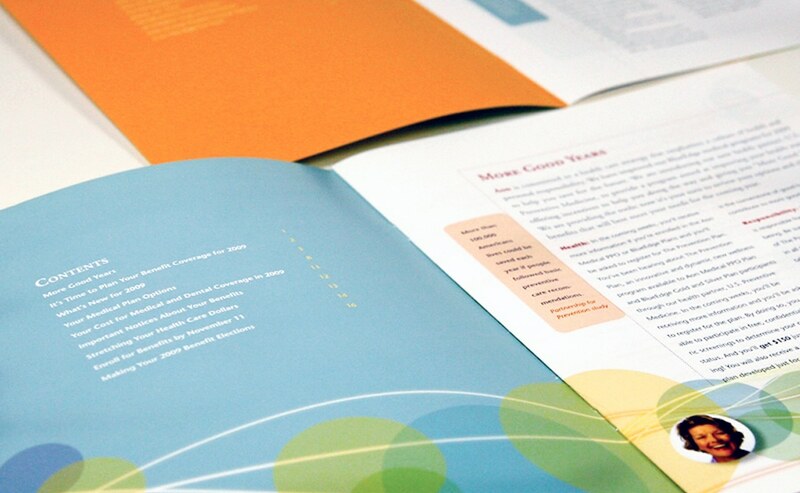 Our job was to help make that materIal attractive, and easy to read through. 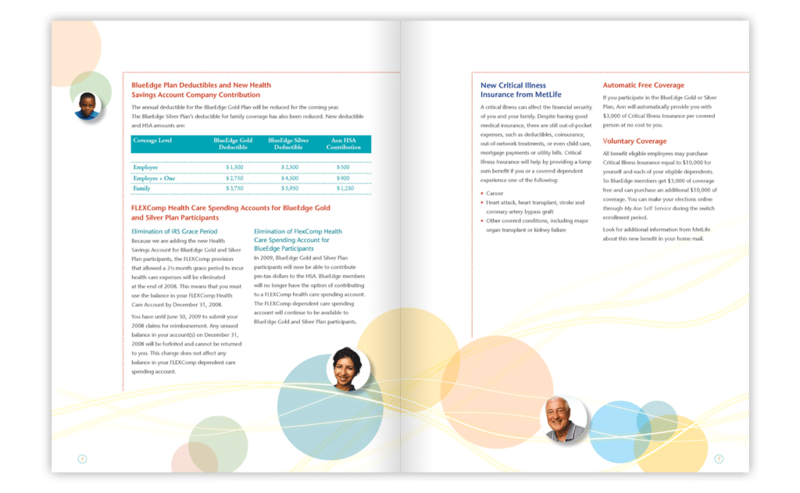 From the unformatted, 3,000 word document we received, we created a 20-page booklet of highly organized information, that included multiple charts and graphs to simplify complicated rules and regulations. 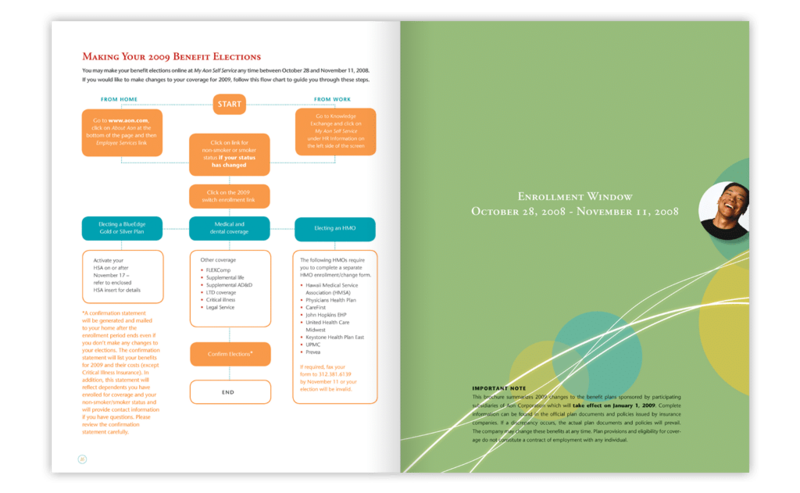 "I worked with 21xdesign on Aon's switch enrollment materials. 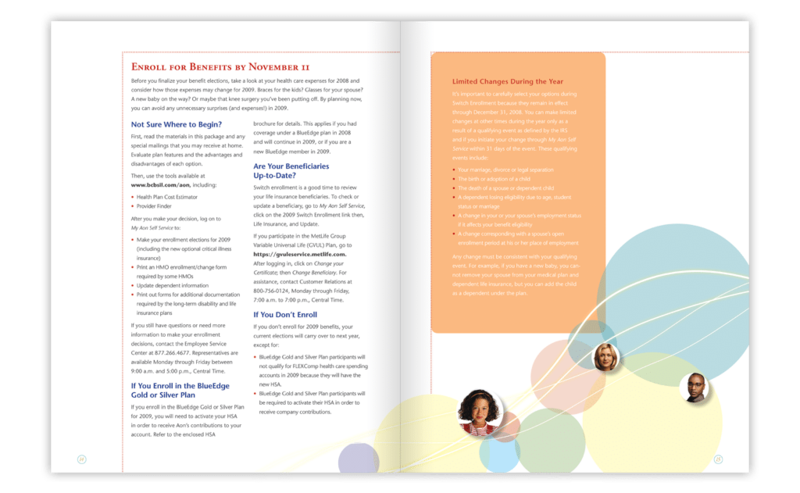 Patricia and her team created a compelling design and worked tirelessly to meet extremely tight deadlines. I found 21xdesign to be flexible and accomodating and recommend them highly."